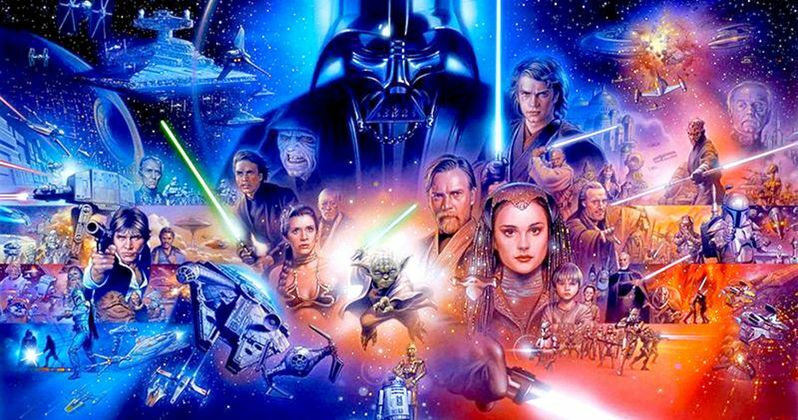 Future Star Wars Movie and TV Plans Revealed? Last weekend, Disney CEO Bob Iger raised some eyebrows when he revealed that the studio and LucasFilm are developing at least 12 more Star Wars movies that will be rolled out between now and the year 2030, which essentially falls in line with an earlier report that claimed Disney wanted to release at least one Star Wars movie a year, indefinitely. After Star Wars: Episode IX hits theaters in 2019, the immediate future of this franchise is unknown, at least in terms of what is being developed next. Today, a new report has surfaced, which provides details for three new Star Wars spin-offs that are being developed. There will be potential SPOILERS below, so read on at your own risk. Making Star Wars has a new report from the same source who reported that Star Wars: The Last Jedi will explore three iconic planets, Endor, Tatooine and Mustafar. Their source claims that there are three projects that are currently in development, which will, "almost certainly be movies, unless something changes." The first of these projects is an Obi-Wan Kenobi spin-off, which we have heard rumors about in the past. Here's what the source had to say, stressing that this will be a single movie, not a trilogy, as previously rumored, while hinting who may direct the film, and when this project may be officially announced. "Kathleen Kennedy and the rest of Lucasfilm fully intend to make an Obi-Wan movie set between Revenge of the Sith and A New Hope, with Ewan McGregor in tow. I want to emphasize that it's a movie, singular, not a trilogy. Rogue One's Gareth Edwards could be returning to the director's chair, as Kathleen Kennedy was happy with his work on that film. The team of producers and writers are going to be different than Rogue One. An announcement of an Obi-Wan movie might just be one of the big surprises at Celebration Orlando. This possibility is supported by the existence of a few materials that were made in conjunction with the event." Even if an announcement of this magnitude is set to happen at Star Wars Celebration, there likely won't be any confirmation until the announcement itself. It's also worth noting that LucasFilm recently announced that Star War Celebration won't happen in 2018, with the convention returning in 2019, just in time for Star Wars: Episode IX. It's possible that a number of big announcements will be made at this year's Celebration, to tide fans over for the next two years until Celebration returns, but that's only speculation at this point. The second Star Wars spin-off mentioned in this report centers on Boba Fett and the Bounty Hunters. LucasFilm was reportedly set to announce this Boba Fett spin-off at Star Wars Celebration in Anaheim back in 2015, before the studio promptly fired director Josh Trank, after reports spread about his bad behavior on the set of Fantastic Four, which came out that summer to scathing reviews and a dismal box office performance. LucasFilm then yanked this project out of the 2018 release slot, pushing their Han Solo spin-off into that date, with production now under way and a release date set for May 25, 2018, although there are rumors that it may be pushed to December 2018. Here's what this unidentified source had to say about the Boba Fett spin-off, which the source claims is not dead at the studio, and also isn't strictly about Boba Fett, but rather a group of bounty hunters..
"Rest assured, the Boba Fett movie is not dead. As far as I can tell, the movie will most likely not be an origin story. It's not strictly a Boba Fett movie, but a film about an ensemble of bounty hunters on an adventure. It sounds as though Fett is just one important component to the movie as opposed to the central character. The project is basically going to use the same pitch that it would have had if Trank had directed it. A script was not even ready at the point where Trank would have talked about his movie at Celebration Anaheim, the project has received further development thanks to Simon Kinberg's efforts." The third project has not been mentioned before this report surfaced, and may be the most divisive, when it comes to both old-school and new-school Star Wars fans. This untitled project will reportedly be targeting the young adult (YA) demographic, featuring a more romantic story line. LucasFilm president Kathleen Kennedy has said in the past that the studio eventually wants to get a female director for one of their Star Wars movies, and it seems this project could be the one the studio is eyeing for a female director to take over. "This Star Wars project is going to target the young-adult audience and have slight romantic themes to it. Said story is a tragedy...the "love story" angle has more in common with Han & Leia's romance in The Empire Strikes Back than anything else. This is the first major step toward getting a Star Wars movie that's directed by a woman." The site's source also claims that, a few years after the sequel trilogy wraps up, "There seems to be a plan for a hiatus on Star Wars movies," which not only contradicts Bob Iger's statement, but also a previous report that the studio wants to release one Star Wars movie a year, indefinitely. It's possible that Bob Iger and the studio as a whole may have changed their stance, perhaps fearing that there may be an over-saturation of Star Wars, but the main reason is that the studio will reportedly be focusing on Star Wars TV shows in the near future, which makes sense since Star Wars Rebels creator Dave Filoni was recently promoted to oversee all of LucasFilm's new animated shows, with this source claiming there are plenty more shows in the pipeline. Here's what the source had to say below. "Star Wars on television is going to become a big focus over the next few years. The new series might be more in-tune with the existing story arcs of the Star Wars saga instead of "filling in gaps" like The Clone Wars and Rebels have. A lot of stuff is going into storage, more than the Original Trilogy at its peak." The source added that LucasFilm wants to, "deliberately starve the market of Star Wars movies" for a certain period of time, making sure that there is not a "sense of fatigue" with the franchise. There have been reports that, after this sequel trilogy, there will only be Star Wars spin-offs, but that doesn't seem to be the case, with a fourth trilogy also in the works. Here's what the source had to say about the new trilogy. None of these details have been confirmed by Disney or LucasFilm as of yet, so take them with a grain of salt. Still, if true, these are certainly some exciting developments for any Star Wars fan. Hopefully we'll find out much more about the future of the franchise during Star Wars Celebration in Orlando next month.